The Weber iGrill 2 BBQ meat thermometer is a Bluetooth-enabled smart thermometer that allows you to monitor up to four separate temperatures simultaneously making grilling a whole lot easier! Smart cooking and grilling equipment have become a hot trend over the last couple of years. The Weber iGrill 2 meat thermometer is a major leader in this category. Are you an outdoor cooking enthusiast who constantly finds themselves struggling to balance your time while trying to pull off a successful cookout? Have you ever overcooked your food because you were sidetracked trying to make sure everything else was coming along as it should? Do you regularly miss the big play while everyone else is watching the game because you were stuck hovering over your grill? The iGrill wireless cooking thermometer may be your solution to all of this and more. Bluetooth Smart connection for use with free Weber iGrill App. Weber has a well-regarded line in its iGrill wireless meat thermometers. With the iGrill 2 Bluetooth smart meat thermometer, you get a high-end thermometer with a large range of features. Sold by Weber, and including their great customer service, the iGrill2 meat thermometer gives you the thermometer you need with the customer service you will glad for if you need it. As with everything Weber, it comes with excellent quality and attention to the details that matter the most. The iGrill 2 offers some of the best features found in wireless grilling gear while staying at an affordable price. Step away from the grill or smoker and you can keep an eye on the progress using your smart phone or tablet, which is much more practical while preparing side dishes or for those extra-long cooks. Being able to keep your hands free, you don’t have to worry about lugging a bulky receiver along with you like many of the competitors require you to do. No more broken belt clips to worry about or trying to remember where you set down that darn receiver. Just keep cooking and moving as normal because the receiver is your phone. The iGrill2 wireless BBQ thermometer is capable of withstanding a wider range of temperatures than most grill thermometers. With ranges from -22 to 572 degrees Fahrenheit, you can use it for more than just a grilling thermometer as it has the ability to read below freezing temperatures. It also has a very impressive refresh response time of just three seconds. Try finding a response time that quick in other models. Most users, myself included, find it very accurate when grilling. The manufacturer claims it is accurate to within one degree Fahrenheit, which has been confirmed, in many independent tests. I also found this to be true in my personal temperature tests. The iGrill2 is very accurate, and although it is not an instant-read meat thermometer, it has still shown to be faster than most similar products available. The iGrill2 has a wireless range up to 150 feet, and while that is not as long as many I’ve found it is still long enough for you to go inside to check out the game on TV or relax by the pool while your food is cooking. It works like this; Plug your probes into one of the four probe ports, power on the device, toss your favorite piece of meat on the grill, stick your probe inside the thickest part, launch the app and walk away. The iGrill 2 grilling thermometer is very intuitive. Of course, I suggest you read the user’s manual, but the iGrill is a user-friendly thermometer. After powering it up, there is a quick three-step process to use. Insert the probe into the center of your food. Make sure it is in the center of the thickest part, so you don’t end up with undercooked meat. Open the app and select one of the preset temperatures, conveniently named by several types of meat. Customize the range if you want by raising the high-temperature alert and lowering the low-temperature alert by pressing the < button or > button, according to your personal taste. At this point, you are ready to roll. The thermometer will keep you updated on the probe’s temperature, as well as send you alerts if your temperature goes outside of the set range. Weber is a trusted name in the grilling industry and is known for top quality goods. Their line of thermometers ranges in price and use. The iGrill 2 meat thermometer is specifically designed with the griller and smoker in mind. 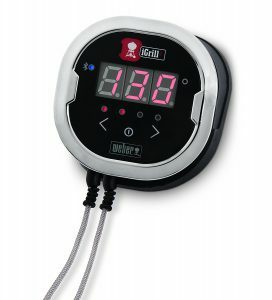 It comes with more standard and advanced features than the majority of grilling thermometers on the market. 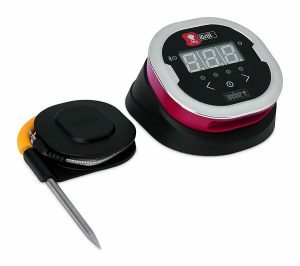 This device is for any griller or smoker, has four probe ports and comes with two high-temperature Pro probes included. It features magnetic mounting and is powered by two AA batteries for up to 200 hours of battery life. This multi-probe thermometer can check the temperature of any food or liquid ranging from below freezing to well beyond most standard ovens. Most digital thermometers of this type don’t have an automatic shut-off feature and stay on indefinitely. The iGrill 2 comes with an auto off shutdown feature when not in use or when a probe is not connected. If the probe is inserted into food and it is paired to a smart device, the unit will not shut off. With a probe inserted but no pairing, it will auto shut-off at the 8-hour mark. No probe and no pairing, auto shut off will come after 5 minutes. This is a great feature to prevent accidentally wearing out the battery. This wireless grill thermometer supports up to four Pro probes and the single readout can display any of them by pressing a button. You can also choose the option to have the iGrill2 cycle through each probe readout automatically. The probes have temperature ranges from -22 to 572 degrees Fahrenheit, so you can rest assured you have your foods doneness is covered. If you are grilling with multiple probes, you can set individual alarms for each probe at specific temperatures. This is perfect if your family are like mine and like different levels of doneness for their steaks. With high heat resistance temperature probes that can withstand temperatures up to 620 degrees Fahrenheit for extreme outdoor cooking and smoking. The probes also come with heat-resistant, colored coded sleeves for easy tracking. The Weber iGrill Pro Ambient Probe comes with probe clip for mounting it right on the grill grate so you know exactly what the temperature is where your food rests. Unfortunately, the ambient probe is not included with the iGrill2 as only two Pro meat probes come standard. All serious grillers will agree, knowing the precise cooking temperature is paramount for grilling or smoking success. So I believe the ambient temperature probe is worth the extra cost. If you are interested, you can check out the price here. It has a large and bright illuminated LED display that is easy to read. This makes reading the temperature in low-light conditions a breeze. The display shows temperature in Fahrenheit or Celsius, depending on your preference. It also shows the timer function, which is another useful feature. 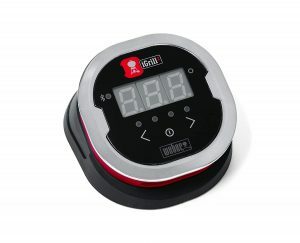 The iGrill 2 Bluetooth enabled smart thermometer can be used without a smart device as a standalone thermometer only. It can easily tell you the temperature of your food on the large LED display even if it’s not paired with your smart device. Or you can download the free app to monitor your meat or internal BBQ temperature. The app works with both Android and iOS devices. The iGrill2 uses the same smart device app as the iGrill mini. I have also had the chance to use and review the iGrill mini, which is another great product that I recommend. It is the Grilling Life’s “Best Small Sized Remote Grilling Thermometer” award winner and helpful if you are on a tight budget. You can read the iGrill mini review here. The app lets you select from a large list of preset meat options (poultry, beef, pork, fish, and lamb) and a list of doneness choices for each. With these presets, you have the option to select settings to cook your meat to rare, medium-rare, medium, medium well and well. You can also create your own settings for each food probe independently. When the settings temperature has been reached, an alarm will notify you. You can name and save your custom created settings for future use. There are also charts within the app that monitor and track temperature changes. The app will let you set custom alarms for each probe and will even send you push notifications when your food hits the preset mark. You have the ability to rename the probes within the app either by food type or by colored sleeves. It’s also possible to set up multiple timers for every probe in use. You can also view a time vs. temperature graph in the app and then export it to a CVS file for future reference using a Microsoft Excel spreadsheet. A few additional fun perks that are different from most is the ability to view various recipes in the app that can be used during your next big grilling or smoking venture! Lastly, the app lets you view and take pictures and share your cookout with other iGrill 2 owners over Facebook. I was able to pair the Bluetooth device to my smart phone in less than a minute without any problems by following the in App on screen prompts. Navigating through the menu was easy and self-explanatory. The Weber iGrill 2 has a wireless range that lasts up to 150 feet away but may differ depending on several factors. This is shorter than several similar wireless thermometer products and is one of the few things I would nitpick on. The manufacturer claims the iGrill2 has a battery life that lasts up to 200 hours. I have never actually put the iGrill’s batteries to the test myself so I can’t positively say if this is accurate or not. What I can tell you is that I have used mine two to three times a week for over a year now and I only remember having to change the batteries out once so far. I would give this claim a thumbs up. The base unit comes with a magnetic disc that lets you mount it on your grill or oven. I found this very convenient. If your grill or oven is not made of metal, it also comes with a small circular magnet with adhesive on one side. That way, you can stick the adhesive magnet to any surface and then stick your unit to it. When not in use, there is a plastic probe wrap to wind your probes around that makes storing the 48-inch heat-resistant cable easy to do. Who Is The Weber iGrill 2 Thermometer For? This is for the serious or casual griller both who needs an accurate thermometer. If you are looking for a new wireless thermometer, this is a great option to look at. The features and style are well worth the money. It is worth the investment in time and energy saved alone, not to mention the cooking accuracy that comes with a good thermometer. It also gives you have the peace of mind of knowing you won’t have to worry about getting sick from undercooked meat. Something that you and your loved ones will be thankful for. The iGrill 2 is especially worth checking out if you are guilty of shiny object syndrome like me and love hi-tech gadgets that make life easier. 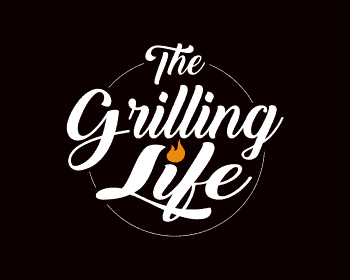 On the other hand, if you are a griller is not exactly into the high-tech world, you may not have a need for the Bluetooth aspect and all the extra features that come with this device. A hand held thermometer may be right for you. The lack of an included ambient temperature probe for reading the internal temperature of the grill is unfortunate. I know I use my ambient probe I purchased separately for almost every cook. Fortunately, they are not very expensive and can now be found in many hardware stores. Hands off grilling and freedom from hovering over your grill. Easily connects to a Bluetooth device. Navigating through the menu is easy and not overly complicated. Temperature readings are accurate within 1 degree Fahrenheit in most cases. The meat probe can be damaged if used or handled incorrectly. There is no way to save your cooks in the app for future reference. Only 150’ line of sight Bluetooth connection whereas some products reaches up to 300’. The price runs between $87 and $139. 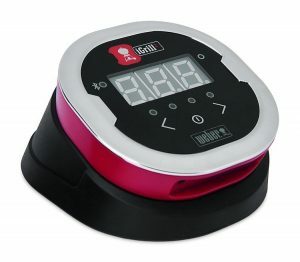 The iGrill 2 digital grill thermometer comes with a one-year warranty, which is mostly standard for similar thermometers. Weber has an impressive range of support options available. You can reach them by telephone and email. There are product FAQs and downloadable manuals on the Weber site. The iGrill 2 also supports firmware updates, which you can find through the app or online. At the time of this writing, the Weber iGrill 2 has a 4.1-star rating out of 5 on Amazon. Best probe grill thermometer ever. Great for grilling and smoking, I LOVE this thing. This little gadget makes doing long smokes on the grill a piece of cake. OMG – These things are awesome for achieving excellent cooking results in many ways. Revolutionized my cooking on the grill and oven. No more overdone dry meat. I can get the temperatures exactly where I need it and no higher. Wish I didn’t have to purchase the ambient probe separately. Temperature works flawlessly, I wish the range on the Bluetooth was a little stronger to get a better range. There are couple things I want to mention from my own personal experiences that I hope will prove useful. I’ve seen complaints about the Bluetooth range not being what is advertised. The manufacturer states “150′ line of sight Bluetooth connection,” which is true for the most part. The key word here is “line of sight.” That means if you are unable to see the device, the range can decrease. I have still been able to walk to the kitchen or check out the TV in the living room and stay connected but I can’t go much farther. This suits my needs but may not work for everyone. This should be fairly obvious but the high-temperature probes can be damaged if not used correctly. If you exceed the recommended temperature ratings, they can either stop working or show incorrect readouts. You should never insert them into the food when you are grilling “hot and fast” or searing your meat. They are meant for indirect or convection cooking meaning not directly over the coals. If you are using them directly over the coals and exceed the recommended temp or get a flare up, they will become damaged. You want to be careful with the probe wires as well. Avoid crimping or getting them wet. You can wash off the probe end that you insert into the meat with a wet sponge or paper towel, but never get the wires wet or put them in the dishwasher. This is true for all meat probes, not just the iGrill2 device. Many of the negative comments I see are from people using the device incorrectly and does not reflect the true usefulness of this thermometer. If used correctly, this can be a great addition to your grilling adventures. I personally have had to replace my probes only once in over a year but it was my fault that they malfunctioned. After grilling for a big party, I left my iGrill 2 out overnight next to the grill and the wires got pretty damp. The device still worked fine but the probes never read correctly again. This Bluetooth-enabled smart thermometers app, accuracy, response time and multiple-probe support make it one of the best digital grill thermometer on the market. It just does so much more than most digital grill thermometers. Not only does it allow you freedom from hovering over your grill while you cook, its app is extremely useful and helps make sure you grill the perfect meat every time. 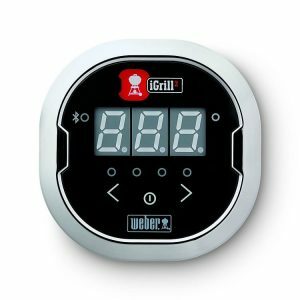 The Weber iGrill 2 is an excellent upgrade to the original iGrill and a must have digital thermometer device for a great barbecue and grilling experience. The response time, multiple probe support, accuracy, and app make this one of the best wireless grill thermometers available. 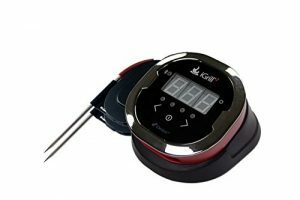 Even with many similarly priced thermometer solutions out there, the ability to link the iGrill2 to your phone makes this a winning product. It would be nice if Weber would include the ability for the device to connect via Wi-Fi as well in their next update. But in my opinion, the Weber iGrill 2 will make your next cookout a winner. You won’t ever want to grill without it again. I hope this Weber iGrill 2 BBQ meat thermometer review was helpful for you. As always, if you or someone you know is interested in grilling thermometers or you find this information useful, please consider sharing it with your Grilling friends and on social media! If you would like to leave a comment or have a review of your own to share on the Weber iGrill 2 BBQ meat thermometer, please do so below. We always welcome your input. This device will work for any type of grill or even your oven. As long as you follow the recommended guidelines and instructions I talked about in my review, your food should turn out great. Happy Grilling Ben. To me this is an awesome addition to my grilling equipment. I am always the cooker on family functions. I use a grill & a smoker to provide both types of cooked meat. And It would be wonderful to not have to keep running backwards and forward checking temperatures. Thank you for the information. I don’t know how I ever grilled without a thermometer Ronnie. I promise you, you won’t regret making the investment. It is perfect for the smoker and has helped me go from an average cook to the next level. This is not even mentioning the convenience they provide. Thanks for stopping by and happy grilling! My father in law got one of these meat thermometer and it didn’t seem to work. He was cooking steak so perhaps the meat was too thin to get an accurate reading. Is this a common problem with these thermometers? Dan, not sure why your father in law had issues but it sounds like a defective unit to me. Did he contact the manufacturer? I have never had any issues like that with the many I have purchased over the years. I have also not seen any reports in reviews saying they had a similar problem. I’m sorry he had this issue, but again, I suggest he contact the supplier and get a replacement or a refund. If I can help in any way, let me know. This sounds like a very useful tool for grilling etc lovers, it also sounds like it adds to BBQ and grilling fun. Everyone requesting how they like their BBQ to be and the cook promising to deliver it just right. A good and balance review of a gadget that makes cooking easier and meals more perfect. Thanks EJ. This is really a great tool for beginners and advanced grillers alike. And if you are a techy like myself, you will love playing with this gadget. My family thanks me for it because no matter how they want their meat cooked, I get it right almost ever time. Thanks for stopping by and happy grillig! This Weber iGrill 2 BBQ meat thermometer looks pretty good. Certainly the Amazon reviews say so anyway. This would be useful for me since the family all have different tastes when it comes to doneness. I’m a bit worried about the bluetooth range though. There seems to some concerns there but maybe it depends on which device you are using. I don’t think bluetooth is the same on all devices, for quality of signal I mean. I see it has a social sharing feature on the app. How does that work? Does it support all social media platforms? Also, can it be set up to send SMS alerts from the app? Bluetooth is funny that way and yes, it does sometimes depend on the device you are using. The key here is “line of site.” As long as you can see the iGrill 2, you are good to go. I want to mention again though that I still get pretty decent range even when I am out of site. My kitchen and living rooms are over 70 feet away and I can still stay connected. Perfect for what I need. It has a social sharing feature where you can connect straight through the app and post what you are cooking to most of your social sites you own. One additional feature that is great is the feature of viewing recipes in the app that you can try for your next cookout. Definitely cool. Unfortunately, it does not support sending SMS alerts but hopefully that is a feature they take a look at. They are constantly upgrading the firmware so I don’t see why it couldn;t be done. Hope this answers all your questions. If not, let me know. This is one of my favorite subjects! I love to cook outdoors on anything. If my wife would let me I would hunt wild hog and cook it over a wooden rotisserie. This seems like a handy little gadget. Do you think it could handle and outdoor deep fryer? I don’t have a smoker currently but I will be getting one in the near future and then I will most likely try this little temperature gauge out. Seems like a bummer with the Bluetooth range problem but hey if your cooking just throw a lawn chair out and sit close and you don’t even have to get up! How cool is that ?! The complaints are probably from the folks that want to go inside and lay around on the couch and not worry about the food till their phone tells them it’s done. Well, hate to break it to you, if you’re the cook of the house that’s probably not going to happen without burnt, dried up food. Glad to have a fellow outdoor cook stop by. The iGrill 2 really is a handy device. I wouldn’t recommend using it with a deep fryer, though. The temperature might exceed the recommended high of 572 degrees Fahrenheit. You also wouldn’t want to get the wet grease on the probe wires as this will damage them. I want to mention again though that I still get pretty decent range even when I am out of site. My kitchen and living rooms are over 70 feet away and I can still stay connected. Perfect for what many people need. I hope your wife comes around and you are roasting that wild hog soon. Happy Grilling. Sounds very interesting and I could really use this tool! I am actually not eating meat, but cook fish on the BBQ all the time and have been thinking of getting one of the thermometers to test if it’s cooked through instead of always having to open the foil I packed it in or cutting into it. You might think fish is easier to cook than meat, but in fact it is very easy to over cook it, when it become very dry and eating raw fish can actually be dangerous! Fish is great on the grill and we eat it at least once a week that way, but you are right. It is harder to cook than people think. The iGrill 2 is great for all meats. Another way to go is an instant read digital thermometer. If you need a recommendation, send me an email and I will be happy to send you a few good options. Thanks for stopping by and Happy cooking! Sounds like a great grilling thermometer option. I have a question. 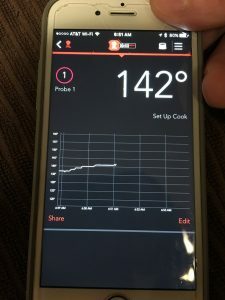 So this holiday season we made whole filet in the oven, we used one of the old fashion thermometers, not sure they are as accurate as your suggestion though… Could this iGrill thermometer be used in the oven as well or would it be too hot for it? Your filet sounds delicious. I’m glad it worked out well. The iGrill 2 is perfect for the oven as you will rarely if ever cook anything at a temp above the recommended level of 572 degrees Fahrenheit. I use it for both my grill and oven regularly. One of the good things about this device is that it also works as a stand-alone thermometer. No need to use it with a smart device every time if you don’t want. The display is big and bold and easy to read. Thanks for stopping by Vicky. This unit comes with two probes but lacks an “ambient” probe. I rarely grill or smoke more than 1 piece of meat. Is there anything preventing you from using the second probe as the ambient? You can buy the little clip for about $15 and would be cheaper than buying a third probe. Hi Sean. I have done so several times in a pinch and it will work, but there are some drawbacks. You can read a very good example of why a meat probe will not be as accurate as an ambient probe here. In my opinion, it will be close enough for most needs if you are looking to save a little money.